It is 1951. Young Jake Conner gets on a bus to visit his cousins in the Mississippi Delta. But when the body of an unknown man is found in the Mississippi River, Jake's summer vacation gets a little more adventurous as he and his cousins snoop around in a mystery that is better left to the grown-ups. "Jake Conner, protagonist and narrator of this coming of age novel, reminds me of Mattie in True Grit and Scout in To Kill a Mockingbird. Sharp eyes tempered with childhood simplicity." Delta Magazine "First time novelist, Paul H. Yarbrough, masterfully transports readers deep into the world of Mississippi Cotton, where life is not as simple as it seems." Julie Cantrell, editor, Southern Literary Review; author, Into the Free "Paul H. Yarbrough has painted wonderful images with his words. His writing brings back so many memories. 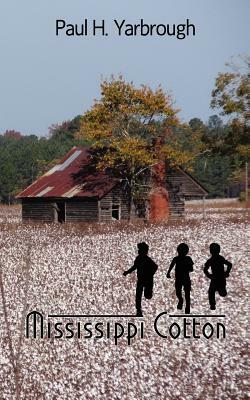 Even if you didn't grow up in Mississippi, you will enjoy Mississippi Cotton." Mary Ann Mobley Collins Former Miss America, Miss Mississippi.